We've been waiting and watching to see where Ollie Gould would end up. The 2014 Young Chef of the Year who worked at Stokehouse for 10 years before decamping to cook on the beaches at Shorehouse in Perth returned to home base a few months ago and has been keeping quiet about his next moves ever since. It turns out he's taking the next logical step for all chefs of now: stoking a massive fire, as the head chef of Palermo, a split-level 150 seat Argentine-Italian-Spanish venture in the old Marchetti's Tuscan Grill site. 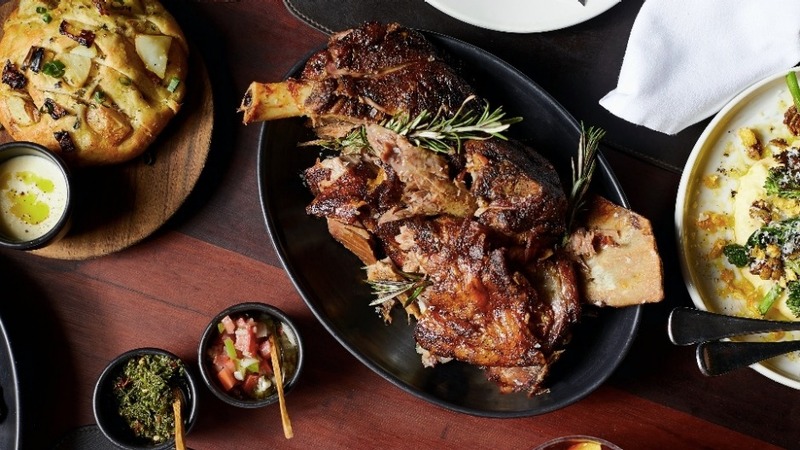 The backers are the team behind Argentinian grill house San Telmo and Peruvian party Pastuso. 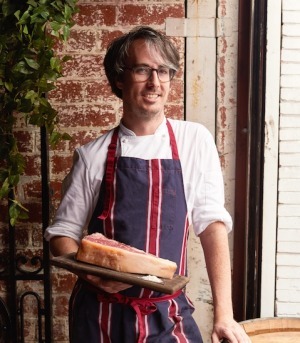 In the style of Sydney's Porteno and Gwen in LA, Gould will be cooking a la crux, on the cross, so whole splayed lambs and suckling pig carcasses will be roasted upright over the central fire pit. It's a change of pace for Gould, but he's excited to be doing something a little more casual. While the fiery Argentinian style of cooking is new, Palermo will also look at the Italian and Mediterranean roots of Buenos Aires. "Everything will have an element of char, but there might be polenta with wilted greens, or a dessert of Ambrosia – poached fruits, marshmallows and coconut custard with grilled pineapple." Ewert Leaf architects, who did fitouts for Neptune and Feast of Merit are working in a meat bordello theme with terrazzo tiles, lots of steel and timber, a cow hide wall akin to that of San Telmo and a Tuscan mural unearthed from the previous tenants. Palermo is due to open on November 27. Daily noon-late, 401 Little Bourke Street, Melbourne, 03 9650 5525, www.palermo.melbourne.